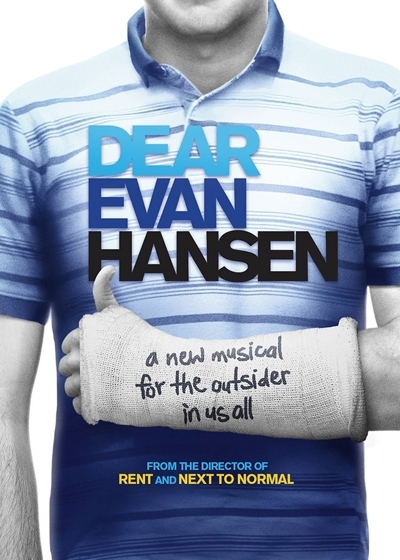 Posted on March 22, 2019 by Arushi S.
The Tony-winning Broadway musical Dear Evan Hansen is currently on tour around the US, and I was lucky enough to snag tickets for a show in Costa Mesa. I had already listened to the soundtrack more times than I could count, but I was ridiculously excited anyway. Dear Evan Hansen is one of my favorite musicals of all time, and it is the second musical ever that I have seen live. And, let me tell you, it was a treat. This musical addresses one of today’s biggest issues: teen suicide and anxiety. The main character, Evan Hansen, has extreme social anxiety, and his therapist tells him to write positive letters to himself. However, when he prints a failed version one of these letters (it was very pessimistic) out in his school’s computer lab, Connor Murphy, a fellow student, snatches it from him and shoves him. Later, the characters find that Connor has committed suicide, and they find Evan’s letter in his pocket. They think that the letter is Connor’s suicide note, addressed to Evan, and them Evan and his family friend, Jared, get dragged into a huge mess of lies and deception. Evan and Jared write fake emails to Connor to “prove” that they are friends, and they start a huge project to spread awareness for Connor’s death. Evan even gets together with his long-time crush, Zoe Murphy, who also happens to be Connor’s sister. However, nothing this perfect can last, especially if it is based on a lie. Evan’s mom finds out about the Connor project and how he has been spending almost every night at the Murphys’ home. The whole charade falls apart, Evan eaves the Connor Project, and he and Zoe break up. Although he and Zoe do make peace at the end of the musical, I was still in tears throughout the entirety of Act 2. Although the soundtrack was very differet from the actual live musical, both are thoroughly enjoyable. Dear Evan Hansen is one of my favorite musicals of all time for its storyline and beautifully written characters, and seeing it live is not something that I will ever forget. This musical is truly fantastic, and I would definitely encourage seeing it if possible. Posted on December 20, 2018 by Phoebe L.
This past month, my band class played The Phantom of the Opera at our Fall concert and must I say, was it a big hit! In order to prepare for the music piece, we also watch the live musical that was performed at the Royal Albert Hall. The “opera” itself is absolutely amazing. The vocals, the dancing, the acting, the string music, and the costumes–everything about the musical was breathtaking. The musical was based on the 1910 French novel Le Fantôme de l’Opéra by Gaston Leroux. It is basically about an opera house in Paris that is essentially “haunted”. As they are rehearsing for an upcoming play, the backdrop wall falls down frightening everyone. What does not help is that the owner of the opera house suddenly retires… Hmm, that seems a bit suspicious does it not? The main soprano and star of the play Carlotta storms off the stage in fury as the directors do not seem to do anything about it. Carlotta is soon replaced by Christine Daaé, a chorus girl who is taught by her “Angel of Music” who is actually the Phantom of the opera house who lives under the opera house (creepy isn’t it). Then everything from that point on goes hay-wire. The opera house continues to have suspicious occurrences because of the Phantom which scares everyone off. 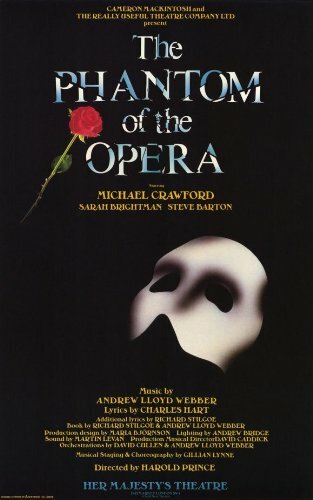 Eventually, the Phantom gives up terrorizing the opera house, and everyone continues on with their lives and everyone lives happily ever after.. or so they think so. Posted on November 12, 2018 by Jessica T.
Pop singer, Ariana Grande, released a new song called “thank u, next” on November 3. Though I’m not a huge fan of Grande, I love how her song is not only catchy but empowering and eyeopening. In a society that encourages “clapping back” and stirring up drama, Grande’s song is refreshing and genuine. Rather than wanting to throw shade at her exes, Ariana wants to thank them for making her a stronger individual. They all hold an important and special place in her heart because “one taught [her] love / one taught [her] patience / and one taught [her] pain” and now, “[she’s] so amazing.” Without these past relationships, Ariana wouldn’t be the person she is today. Self-love and appreciation is a noticeable trend among today’s youth. Feminists advocate strength and success without the aid of men. Mental health victims strive to put their health and progress first. Social media posts remind individuals (whether they are fresh out of a relationship or have been single for awhile) of their self worth and hype them up. Grande’s song advocates this confident self-love and explains that no one should feel ashamed for putting themselves first. Grande reveals herself as a self-aware, vulnerable and mature artist through this song, which are rare qualities to find in modern day artists. She teaches listeners that not all relationships are meant to last but they all can teach important lessons. Heartbreak can be a negative or a beautiful part of life and Ariana believes that it’s up to the individual to make it positive. Looking for music by Ariana Grande? Visit Hoopla for an extensive catalog of her music free to download with a Mission Viejo Library card. Posted on July 21, 2018 by Phoebe L.
In May 2018, the annual Billboard Music Awards took place. The awards were held at the MGM Grand Garden Arena in Las Vegas, and the show itself was hosted by Kelly Clarkson. I was very excited to watch the show, even though I didn’t go to the actual awards. There were amazing performers including Ariana Grande, Shawn Mendes, Khalid, Camila Cabello, Janet Jackson, international Kpop boy-band BTS, and many more. Some award winners that night were Taylor Swift, winning the Best Female Artist and Top Selling Album, Top New Artist was given to Khalid. International Sensation boy-group BTS winning the Top Social Artist award for the second year in a row was a shock for the viewers and the boys as well. And the Icon Award went to Janet Jackson. The awards this year was amazing with the performances and the artist as well. I can’t wait for next year! Posted on June 23, 2018 by Skylar N.
Now this song is a major Summer 18 banger. If you remember Despacito, this song has a similar vibe, Latin roots etc, yet this one is one hundred times better. Don’t believe me? Have a listen. So in case you don’t know, Liam Payne is the most successful and most talented (according to vocal range and musical ability) ex-member of One Direction, in fact, he is the only male on the list of “The Only Good Vocalists Born After 1989.” Liam explained numerous times how he wanted all of his fans to have a song of his that they could relate to in a sense, he sang this one for all of his Latin fans. There is a bit of Spanish on this song sung by J Balvin. This song is just such an upbeat, happy, danceable song. The opening notes just take you to summer and make you want to dance. Here’s a bit of the lyrics from the song. What’s on your mind for later tonight? You can just hear how smooth Liam’s voice really is in this song. So go ahead and give it a listen, so in the Summer when everyone knows it and loves it, you can say you liked it before it was famous. Posted on June 17, 2018 by Skylar N.
This is a perfect song to set the summer mood. It is by ex-One Direction member Zayn Malik (who was the second most talented member and the second most successful member). Whilee the song is such a carefree, fun song, it has a much deeper meaning. You can really hear what a huge range of vocals Zayn Malik possesses. He is one of the few male singers that can actually hit a high note and it is very evident in this song. A cool part of the song is the music video for it, it serves as a thriller. It is actually part two of a series of videos, part one being the music video for Dusk Till Dawn. In part one, Zayn is on the run with a suitcase, yet we aren’t sure what is in it, there is a huge explosion and a car chase. Zayn is much past his boyband One Direction days and anyone would enjoy seeing the video. It is such a bop! It is sure to be a huge chart topper. Don’t believe me? Go and listen to it yourself, you’ll be glad you did. Posted on June 11, 2018 by Phoebe L.
This past week, I went to go see a school musical with my parents. Since this musical was set around the French Revolution, I watched the movie musical with Hugh Jackman, Amanda Seyfried, Anne Hathaway and more. I was very excited to see the musical and had very high expectations. The show was about 2 1/2 hours, which didn’t seem that long. The musical/story, in short, is about a man, Jean Valjean, who was sentenced to 19 years in prison for stealing and attempted escapes. He is eventually released. Many years later, we see him again but as a totally new man-the mayor of the town. He takes in young Cosette whose mother, Fantine, passed from fatigue, stress, and an unidentified disease. Years pass once again, and it’s right before the French Revolution. By now, Cosette is now much older and is courted by Marius. Jean Valjean can feel his life slowly slipping away from age and decides to go on a “vacation” so that Cosette doesn’t see him passing. He sees the ghost of Fantine and walks with her to see all the people who died in battle, and there the musical ends. The actors were incredible! All of them could sing so amazingly and had so much emotion evident in their voices. The set designs were on point, all the costumes were so beautiful, and the orchestra pit played so wonderful and added more color to the story. There weren’t any negative opinions that I heard the next day, and I think overall the musical was an amazing success. This was my first school musical and is definitely going to be remembered for a long time. 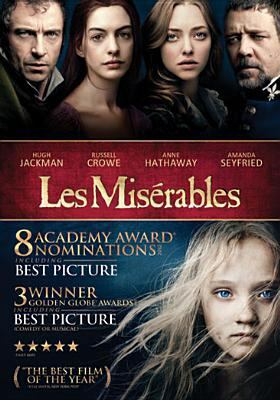 Les Miserables, in all its formats, is available for checkout from the Mission Viejo Library.